Sugar, the should be four letter word, and the link to anxiety, depression, and a host of other behavioral health issues like anger, fits of rage, alcoholism, schizophrenia, and hyperactivity is well documented among medical journals and in medical research. Why then do doctors negate this crucial fact? In the journal from the National Center of Biotechnology at the National Library of Medicine and the National Institutes of Health it is written that "People with mood disorders often have poor quality diets which are low in fruits and vegetables but high in fats and sugar". (1) Based on my own observations of my two children, myself, and others in my family, I have believed for years that not only does a high sugar diet cause anxiety, depression and fits of rage but that the problems people experience from infancy into adulthood that are linked to high sugar diets start in the womb with maternal nutrition and the amount or sugar consumed by mom impacts the child's nutritional likes and dislikes once born. This then can set them up for a lifetime of health complications. While carrying one of my children, I ate an extremely healthy diet with a lot of seasonal fresh vegetables and fruits as well as meats and fish and limited amounts of processed foods with little to no sugar and carbohydrate contents. That child loves all foods and is not a picky eater. With my other child, I was going through an extremely stressful time and craved all things called simple carbohydrates like Bruegger's bagels with honey walnut cream cheese, chips, and sweets. To this day, she has a high simple carbohydrate and sugar diet and consumes minimal vegetables or fruits. I believe that the foods that they gravitated towards as children and now as young adults was somewhat preordained due to what I ate while pregnant (2). In fact, studies in medical journals point to this fact. I am hopeful but not confident due to the way our current system is set up to work, that as independent science proves what I have already surmised through observation that more education from healthcare providers to patients will occur. 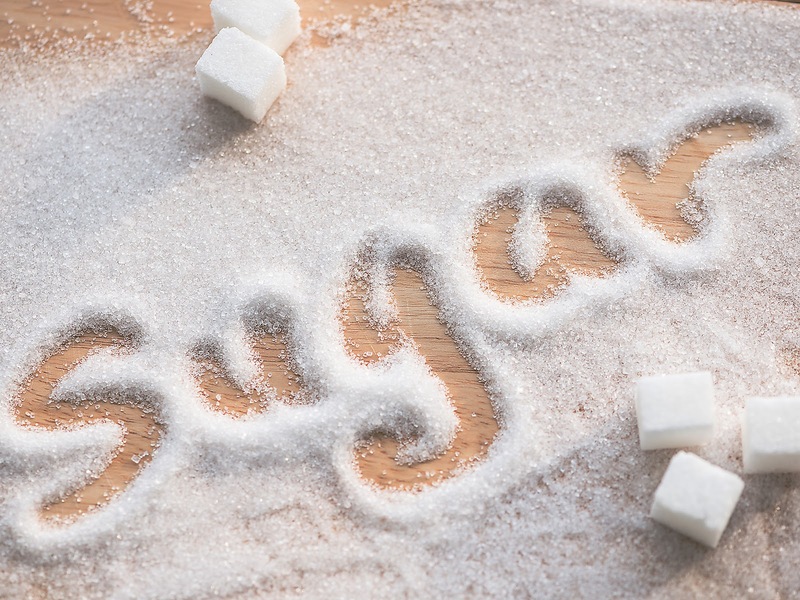 Sugar is toxic to the brain and cardiovascular system and a diet high in sugar creates large nutritional deficits due to a lesser amount of nutrient rich foods being consumed. This leads to not only cognitive impairments, behavioral complications and heart disease but also diseases such as diabetes, chronic kidney disease, fatty liver disease and secondary complications of those diseases such as neuropathy, retinopathy, alzheimers, dementia, decreased immune function, non healing ulcers, and chronic fatigue, etc. But for this post we will just stick with how sugar plays a role in anxiety, depression and anger. Scientists are now admitting that nutrition plays an integral role in whether genes are turned off or on. 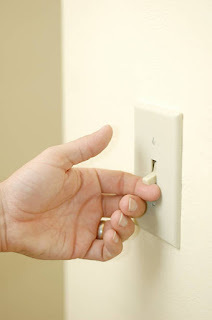 So for instance, if you walk into a room and the light is turned off the room will be dark. In order to get light into that room something has to switch that light on. It is the same with genes. Genes have to have a force that turns the switch on for the predisposition of that gene to be activated. In fact, scientists now admit that only 20% of our risk for disease is genetic and the other 80% is linked to diet and lifestyle. Sugar is a key player in diseases like cancer and has been noted even as far back as 1927 in the Warburg Effect. Where it pertains to behavior and conditions like anxiety, depression and anger sugar is the primary culprit due to its effects on the brain and the adrenal gland. 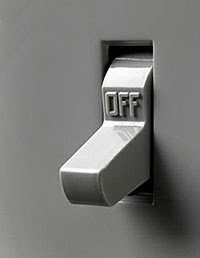 When we eat a high sugar diet, I believe it is the switch that turns on these conditions. 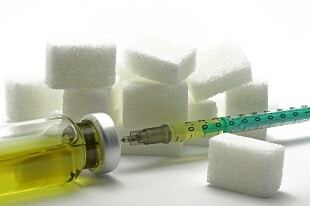 Oral sugar ingestion is comparable to receiving an injection of it right into the blood stream. The body has to do very little work to break down the simple sugars found in simple carbohydrates and therefore uses it first before turning it to other nutrients for energy. Due to it being broken down and entering the bloodstream so rapidly, it is also used up very quickly and therefore once it hits the bloodstream and is being used whatever is not being used is bound up by the insulin and stored for later use and much of this is stored around the middle section of our bodies, hence the term spare tire. The storing of this extra sugar occurs much faster for people with more sedentary lifestyles as they require less fuel for energy needs. When the sugar is used and or stored for later energy needs the blood sugar levels drop in the blood and this leaves the body feeling tired, and depleted craving more quick energy and so the cycle continues as we grab more simple carbohydrates to refuel. Over time this vicious cycle leads to a condition known as hypoglycemia. Hypoglycemia causes the body to react by directing the adrenal gland to release epinephrine and norepinephrine, two hormones that act counter to the action of insulin by rising blood glucose levels. Both of these hormones make people jittery, and nervous or anxious. When the brain becomes hypoglycemic it too responds and releases a neurotransmitter known as glutamate . This is the main neurotransmitter (message carrier of the nerves) that causes excitability and turns the brain into high gear. When the brain is kicked into high gear and is overly excited, you can see how this can increase the feelings of nervousness, jitteriness, and anxiety. When this highly agitated state wears off then one is left feeling low or depressed and restless or agitated which can result in emotions of frustration, inability to concentrate, anger and impulsivity until the craving for more sugar is satisfied. This is a cycle that continues until it is stopped by eliminating a high sugar diet and giving the body "real" food that nourishes and provides the right components to support brain and nervous system functioning. The problem is that giving up sugar is much harder than people realize (see tricks on how to be successful at this in my next post). Sugar and its role in these behavioral issues has been researched for years. One research study done in New York looked at the role of excitability and the inability for school age children to focus due to a high sugar diet and therefore decreasing their standardized test scores. What the study showed was that when these children were given breakfasts and lunches with lowered amounts of sucrose, synthetic food colors and flavors and two preservatives (BHA and BHT) that the city's national school rankings had improved from 39th to 55th (3). 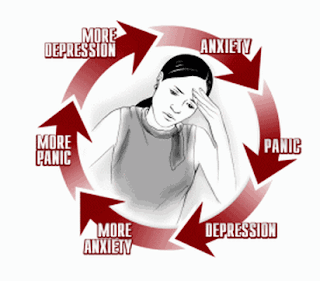 There have also been articles published regarding anxiety and depression and nutrition in medical publications such as PubMed in which there shows a clear relationship to nutrition's effect on anxiety and depression (4). Regarding anger and high sugar diets related to the hypoglycemic effects of feeling jittery and anxious and craving more sugar it has been shown that 75% of all prisoners were hyperactive as children which has been linked with high sugar diets. This high sugar diet when consumed as children then sets them up for criminal activity as adults. When adults are more prone to nervousness, and anger that leads to fits of rage due to hypoglycemia then the result many times can lead to criminal acts. In part, I believe that it is also because when the brain is starved from key nutrients and is unable to operate properly and people can't think logically and clearly it causes a great deal of frustration which also leads many times to fits of rage. A study done by a parole officer in Ohio which looked at inmates who when out on probation changed their diets to a healthy low sugar and low processed food diet had a recidivism rate of only 8%. This was then compared to the bad diet group which had a rate of 56% as cited in Dr. Russell Blaylock's work. Other studies have been done that showed when prisoner's diets were supplemented with vitamins, minerals, and essential fatty acids that inmates violence behavior decreased (5). So, if we know all of this, why then for years has the federal government and it's friends the biotech firms and right down to the doctors been handing out food pyramids that look like this? It is because the US government pushes onto the public for public consumption whatever food products that they are most heavily subsidizing by creating the guidelines. These guidelines are then pushed on your doctors to push onto you, the consumer of food and user of the disease management industry. In 2009, guess what foods were the most subsidized? 1.) Corn (which is used in everything from soda, to bread, chips, crackers, cookies, cakes, etc. ), 2.) Wheat (that is enriched wheat meaning all of the natural key nutrients have been stripped from the wheat in processing and adding back in through manufacturing; not the healthiest), 3.) Rice, 4.) Beer and 5.) Milk. This is why it has been cheaper to buy a loaf of bread, a box of pasta, crackers, cookies, chips, or sodas, etc than it was a pound of broccoli. It is not about the health of the people but about the wealth of the biotech firms and the politicians. I tell people that if they want to get healthy the first thing that they have to do is ignore everything the government, food industry and yes even their doctors tell them. Even now with the recent transition from the pyramid to the plate you must be wise. Today there are over 30 approved GMO crops in the US. Many vegetables are among the awarded approvals since the nineteen nineties. Today in the US 1 in 13 children now have a food allergen and the prevalence of childhood allergens has increased by 50% in the last 20 years. Coincidence? I think not. With that being said, I do think the way to eliminate much anxiety, depression, anger, alcoholism, adhd and other behavioral issues is through a constant nutrient dense diet of vegetables and healthy fats with minimal sugar but we must be aware from what food sources we are obtaining these nutrients and whether they have been genetically modified. We must pick foods that have not been genetically modified through the DNA gene manipulation processes of industrial agriculture because our bodies don't recognize these kinds of food alterations and as a result send out immune responses. This leads to autoimmune diseases for which we are now plagued with and have costly patented drugs awarded under the ACA with 12 year patents to treat. We must, instead, eat those foods which supply the brain with a constant source of energy, are low in sugar and are GMO free. What foods are brain nutrient packed foods that aid in a decrease in conditions like anxiety, depression, anger, fatigue, and an increase in attention and mental clarity? Foods that contain the essential minerals of zinc and magnesium and vitamins of B and C. Why? Decreased levels of zinc have been shown to prevent enhanced communication, increase the risk of dementia, and promote cognitive decline. Increased levels of zinc have been shown to improve learning and memory capabilities and in children low zinc levels have been shown to be associated with lower learning ability, apathy, hyperactivity and mental retardation. Low levels of zinc are also associated with alcoholism, and schizophrenia (6). Magnesium rich foods have been shown to increase and aid learning and memory (7). B vitamins help brain cells quickly receive and send neurotransmitters and they work in conjunction with vitamin C in increasing the neurotransmitters of the CNS for which the brain is the powerhouse. Both, help to convert key molecules that the cells use for energy and especially the fuel hungry brain cells. The brain's rate of metabolism is so high that even when placed into a drug induced coma where people have to be placed on respirators the brain's rate of metabolism can only be reduced by 50%. Due to the brain requiring key nutrients to support this high rate of metabolism it is essential that we care for it and feed it the right foods that aid its processes. Remember this list when preparing meals for your family and especially as you send your children off to the classroom over the next few weeks. Breakfast should not consists of foods like pop tarts, pancakes, bagels, biscuits, sugary cereals or sugar laden "energy bars". Don't let a grocery store lobbying group dictate to you what constitutes breakfast. Breakfast can be whole grain toast with avocado and lemon juice with salt, pepper and garlic, a bowl of chickpeas, a kale smoothie, a banana dipped in almond butter, etc. Remember this is your journey to wellness and you get to write your story! Don't allow biotech firms, Washington politicians, or the disease management industry to make money off diseases that you develop which are preventable. Eat great, feel great and look great! Happy eating until next time. The blessing in the food, given by God, is what holds the key to unlocking true health (freedom from illness or injury). One of the major barriers and misconceptions standing in the way of health for all people is not "free healthcare" (which is anything but healthcare) but it is education. Education is power. Education is freedom. 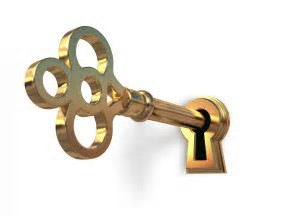 Education is what will unlock the door and lead to a life of health. Our school system, in our early years fails to truly educate us therefore failing to empower us to think freely and honestly about nutrition and health. Instead, what the system does do is to prepare students for collegiate education and beyond to think and understand the way the corporations who donate large sums of money to these colleges want the students to think and understand. In turn, the students graduate into society and goes to work for these corporations contributing not to the betterment of people's health but to the betterment of the bottom line for these corporations. The educational system is built on obvious bias. I talk to people daily who are literally dying to achieve health in their lives but they just don't know how to get there. They seek counsel from western trained and socially engineered nutritionists and doctors. More times than not, these well meaning nutritionists and doctors fail them. 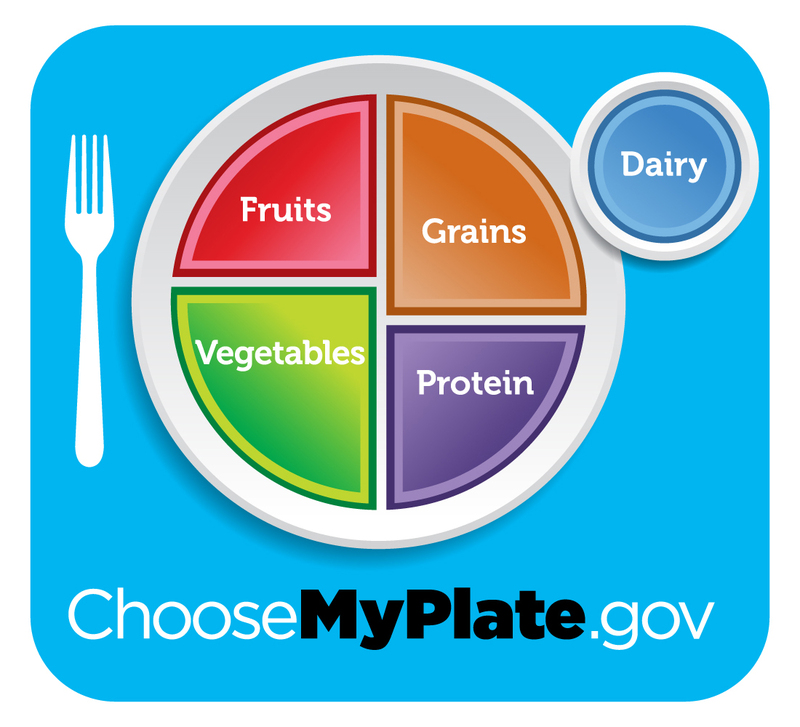 What I have witnessed time and time again is that the nutritionists push the USDA dietary guidelines while never taking into account that the person coming to them for help is an individual person with their own DNA, their own ancestral heritage and their own life story. These providers of disease management do not and are not trained to think that what may be a perfect diet for one person may be totally different from what is nutritionally beneficial to the next person. When patients go to see their doctor, their doctor has a set amount of time for which they can see their patients due to having profit margins that must be met. The doctors listen astutely for symptoms and match up drugs to those symptoms for which they then prescribe. The patients are then told to take them and return at a designated time in the future to determine how the prescribed drugs are working. Often times, what I witness is that not surprisingly the patients will have side effects for which another drug will be prescribed. This is not healthcare. This is suppressing the body's ability to repair and heal itself by quieting or shutting off the body's built in alarm system. When our body's functioning is off it is designed in such a way as to send out alarms signaling, "Hey, human, something is amiss, help me by correcting it." By not identifying the underlying causes of the alarms and then addressing those causes by making the necessary changes through diet and lifestyle we suppress health, not promote it. As doctors and nurses and anyone else who works in this healthcare also known as the disease management industry we have become suppressors of health not promoters who bring healing. Unfortunately, our doctors and healthcare system have become mere lapdogs to big pharma, private equity firms and are restricted by insurance companies with their time. As if this is not bad enough then they have the FDA which is supposedly a government watchdog to protect the people yet it has merely evolved into nothing more than a subsidiary of biotech firms who dictate to them which drugs ultimately come to market. The FDA and the biotechs have a revolving door policy from which key players move back and forth between the two organizations and dictate to doctors the guidelines of what is "medically appropriate" in the treatment of their patients. After many years of working in the disease management (healthcare) industry and witnessing these issues, I have come to realize that the lack of honest education is purposeful in order to promote American business. It is in the interest of the grocery store lobbyists, pharmaceutical lobbyists, chemical company lobbyists, physician lobbyists (AMA), industrial agricultural farming lobbyists, food manufacturers and their lobbyists like General Mills, Kellogg's, etc. and even yes, the government to hide the truth from the American public about the curative and preventive power in macro and micro nutrients. We have gotten so far away from ancient wisdom in our own greed and narcissism and been engineered in a systematic approach by big business ownership and regulatory captive to have us believe in a false narrative consisting of several main points which benefits the interests of these groups but unfortunately does not benefit people's health. The first falsehood is that we need to consume a lot of food in order to sustain health. Obviously, one can see how this is good for business because if people are buying more food these groups make more money. The truth is that it is the quality of the food and not the quantity which builds immunity, thwarts diseases and that creates perfect homeostasis in the body that in turn promotes health. The second falsehood is that the foods that are produced by the food manufacturers are healthy for us. Nothing could be farther from the truth. All a person with any interest in this has to do is pick up a box of crackers, candies, breads, cereals, breakfast bars and read the ingredient list and begin to look up each ingredient and understand what wording like "enriched" wheat flour means. 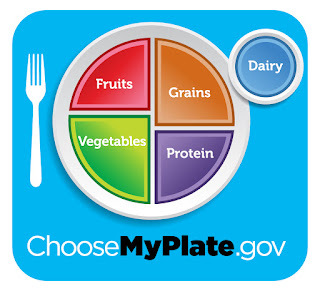 Lastly, is the false mantra that it cost a lot to eat healthy. After doing the math myself and comparing my pantry and refrigerator when my family is eating real food compared to when we are eating boxed, bagged and processed foods, I can honestly say that my grocery bill has been cut in half. After years of working with sick people from pediatrics to geriatrics and being on both the provider side, and the insurance side, what I have seen is a lot of very sick people who are taking a lot of very expensive drugs yet have no better health to show for it. Not only have I witnessed this in my career with watching patients but also in my personal life in which my loved ones who have suffered medical conditions to which no doctors have actually ever "cured" but instead merely prescribed drugs of big pharma to then only prescribe more drugs to treat the side effects and complications caused by the initially prescribed drugs. At some point, if one has any conscious, curiosity, and love for the wellbeing of people then he or she has to begin to ask a pivotal question, "What am I missing here?" It was my observations that led me to this question and that started me on a journey to find answers and to create health and wellness in the lives of my family, friends and anyone else that I encountered and who was willing to listen. What I have discovered is startling and too much information to cover in this post but just know that it is a fact that what we eat and drink holds the answer to the question, "How do we achieve health and wellness?" After looking at patient charts for years, one can't help but to start to see trends and what I began to realize is that almost every patient was taking on average at any given time between 3 and 6 big pharma pills a day. Drug lists almost always included drugs to treat what I began to call the standard American diseases which are a direct result of the standard American diet and those diseases always included: 1.) High blood pressure (hypertension), 2.) Diabetes type 2, 3.) High cholesterol (hyperlipidemia), 4.) Anxiety & depression (mood affect disorder), 5.) Some type of autoimmune disease such as rheumatoid arthritis, Crohn's disease, irritable bowel, etc., and 6.) Insomnia. There were a host of other common diseases as well such as asthma, allergies, erectile dysfunction (caused by the blood pressure pills) and dementia/alzheimers but the 6 listed are the standard, if you will. What was and is truly sad to me is that many times patients would be on two or three different drugs to treat the same condition. For a while in my career, my role was to coach patients toward wellness which meant I spent a lot of time encouraging them to be compliant with taking their big pharma pills. What I discovered was that out of all of the patients that I worked with only a handful of them, if that, actually overcame their disease processes. The ones who did so were the patients who transformed their diet and lifestyle. Not only did their numbers normalize but they lost on average about 20 pounds and they told me they felt better than they had ever felt and were able to come off all of their medications. That is health! This intrigued me and so I began to do a great deal of research and what I discovered was that there is curative power in real food and lifestyle modification. I began to change the way I looked at and thought about food. 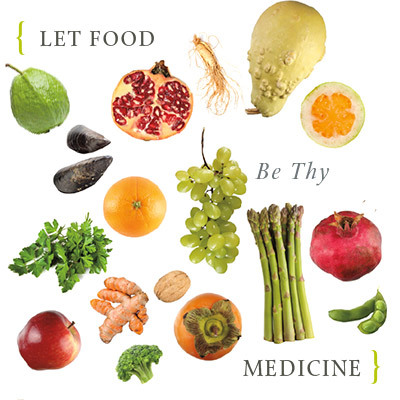 I began to see food as medicinal. Hippocrates said it best, "Let thy food be thy medicine." It amazes me yet solidifies what I know to be true about God. When someone like Hippocrates, the father of medicine, and the name from which the Hippocratic Oath is derived and who was born, by best historians accounts, in 460 BC makes this profound statement it calls for great reflection. It reminds me of a truth from which we as a people have travelled so far from it reminds me that like God who is the same yesterday, today and forever so are His evident truths even as it pertains to the gift of food (James 1:17, Revelation 22:2 and Ezekiel 47:12). This led my research into looking at foods dating back to Biblical times and tracing it to present day which led to my following its evolution through industrialization. What the industrial agriculture industry has done and continues to do to our food directly impacts our lack of health that we now experience. Over the last 100 years 85% of the nutrients in our soil in America has been destroyed due to industrial agriculture. There is a definite difference in living longer and living healthy. Most all disease as we know it today and based on other's research confirms that approximately 86% to 90% of our diseases could be cured or eradicated through proper nutrition. Learning these startling numbers but understanding the pathophysiology of the human body it was made clear to me that there is something so monumental happening around us that we need not miss it. I looked at what health issues I was witnessing in patients and in the members of my own family. I then compared those issues to their diets and I was shocked at how quickly I was able to identify what key nutrients they were lacking which was resulting in the illnesses. Armed with this knowledge, the refrigerator, pantry and food mindset makeover began. God never intended for us to eat so much processed man made synthetic food as we do today which is causing our obesity epidemic and disease crisis from malnutrition. Nor did He mean for us to feel like we have to calorie restrict and starve ourselves to attain a worldly view of beauty because with either of these ways of eating we suffer huge nutritional deficits that make us sick and depressed. 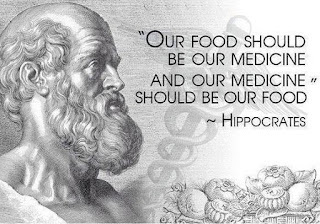 I believe that He intended for our food to be just what Hippocrates said, medicine that provides nourishment to our souls, bodies and spirits and provides health. He loves us and therefore it only makes complete sense that he would want health for us. The food we eat should assist us in building immunity from the inside out, and promote a state of health. My family has begun to practice much better habits as they pertain to food and one of the best things that I believe we have done is to buy a Vitamix and we started juicing and making smoothies. It is not only one of the best ways to consume multiple vegetables and fruits simultaneously but also is helpful when time is an issue. If people's budgets don't allow for a Vitamix then I tell them to just get started that a Nutrabullet will do the trick. We have many recipes but several "go to" favorites. The one we like to prepare several times a week has so much nutrient rich foods that it is hard to beat. Sometimes I throw in probiotics, or papaya, apple or watermelon seeds. I also love to throw in some fresh wheatgrass whenever I have it on hand. BANANA - This readily available fruit combo herb is rich in potassium but also contains other key nutrients such as all of the nutrients already mentioned above. The recommended daily intake of potassium for adults is 4,700 mg a day and other foods rich in potassium are avocados, acorn squash, spinach, sweet potatoes, wild caught salmon, white beans, dried apricots, pomegranates and coconut water and milk. Potassium is one of the most important electrolytes in the body. It is vital to healthy functioning of all the body's cells, tissues, and organs. It is responsible, along with sodium for regulating the water balance and the acid base balance in blood and tissue. It is also vastly important for normal growth and for building muscle. PINEAPPLE - One of the many nutritional benefits that I love most about pineapple is that it contains a proteolytic enzyme known as bromelain and it aids in the digestion of proteins. It is often used to treat muscle injuries. It is a natural anticoagulant which means it acts to break down the blood clotting protein fibrin and thereby improving circulation. This fruit also helps improve respiratory health, cures coughs and colds, strengthens bones, reduces inflammation and thereby helps to prevent many disease processes including cancer. It too is a storehouse for many of the vitamins and minerals already mentioned in the above foods. It contains potassium, copper, manganese, calcium, magnesium, Vitamin C and fiber. ALMOND BUTTER or SUNFLOWER BUTTER - The health benefits found in almond butter are all the same benefit derived from almonds. Almonds are loaded with key nutrients that help sustain energy throughout the day. The health benefits of sunflower butter are equally if not more impressive. Sunflower seed butter is a staple in our house and is loaded with protein, Vitamin E which is another fat soluble antioxidant and protects against air pollution even the kind from the "chemtrails" of geoengineering which we commonly see daily now, as well as the following conditions: PMS, eye disorders such as cataracts, and neurological disease such as Alzheimer's and also diabetes. Both options are more unprocessed foods and are full of healthy fats which can aid in weight loss when eaten in moderation. RAW HONEY and LOCAL HONEY - This provides a great source of antioxidants and raw honey in particular contains antioxidants called phenolic compounds which helps to protect the body from cellular damage due to free radical damage. Raw honey can kill unwanted bacteria and fungus. It naturally contains H2O2 (hydrogen peroxide) which is an antiseptic. There are several hospitals in Europe that have used Manuka honey to fight MRSA which is methicillin staphylococcus aureus a type of staph infection which is now prevalent today and resistant to antibiotics due to the over use of antibiotics and destruction or our intestinal tracts. It is a staple in our house. FLAXSEED - This is a small yet powerful seed and can boast of being a super food. It contains Omega 3 essential fatty acids which have heart healthy effects. Each Tbsp of ground flax contains 1.8 grams of plant Omega 3s. They have both plant estrogens and antioxidant qualities and not too mention the fiber content. It was first cultivated in 3,000 BC in the 8th century. It is said to protect against breast cancer, prostate cancer and colorectal cancer due to the phytoestrogen role. The role it plays in digestive health in it's prevention of colorectal cancer is also noted as well as its preventive role in heart disease. All of these organ's processes are collaborative and work together in prevention of disease as the body even though not recognized to be so by modern western medicine is contiguous and what affects one organ affects another. Flaxseed is a power house at helping these organs be able to perform in harmony. HEMP SEED - Hemp seed is also a tiny package which boast mega nutritional benefits that are evidenced based. They are rich in 2 essential fatty acids: omega 6 and omega 3. They also contain gamma linolenic acid. They also are a great protein source and contain Vitamin E and key minerals already listed above including also zinc which has been written about extensively in journals like Pub Med which are peer reviewed medical journals which I am starting to believe few providers read. Remember that you are smarter than you think when it comes to your health and you possess more power than you know. For more recipes and education on health and wellness watch for more upcoming blog posts and don't forget to always buy organic whenever possible.